Home is where the Haunt is..From New York Times bestselling and award-winning author Douglas Clegg comes a riveting supernatural thriller of dangerous secrets within a haunted family. After the brutal murder of a loved one, Nemo Raglan must return to the New England family he thought he'd escaped for good...and the shadowy home called Hawthorn. As Nemo unravels the mysteries of the past and a terrible night from his childhood, a dark presence makes itself known on Burnley Island. NeverlandThe Children's HourGoat DancePurityDark of the EyeThe WordsWild ThingsNightmare HouseBad KarmaRed AngelNight CageMischiefThe InfiniteThe AbandonedThe NecromancerIsisThe Hour Before DarkYou Come When I Call YouNaomiThe Nightmare ChroniclesBreederThe AttractionThe Halloween ManNight AsylumLights OutFunerary RitesDinner with the Cannibal SistersAfterlife. 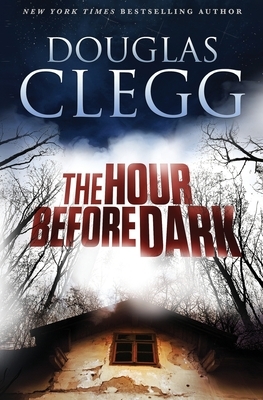 Douglas Clegg is the New York Times bestselling and award-winning author of more than 35 books, including Neverland, The Children's Hour, and You Come When I Call You. He is married and lives near the coast of New England.